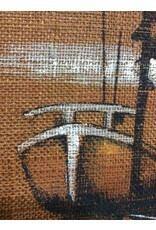 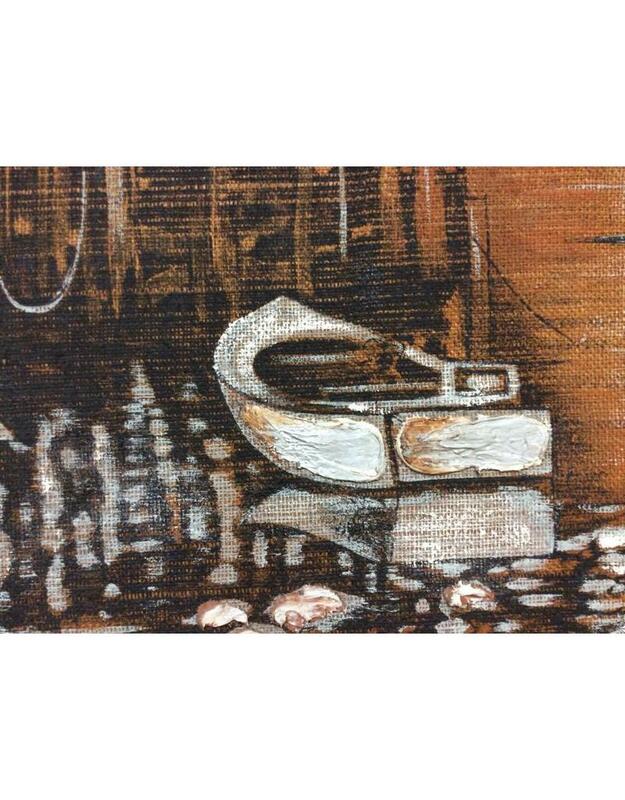 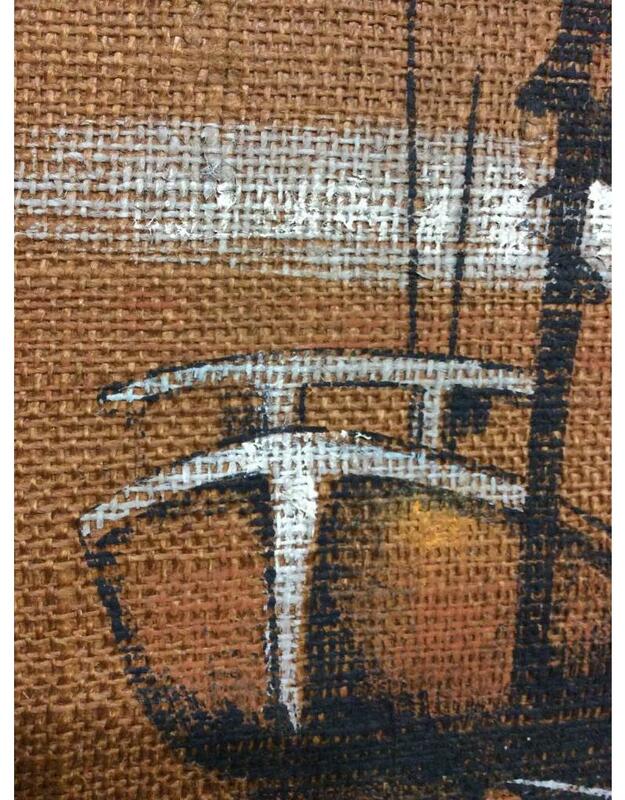 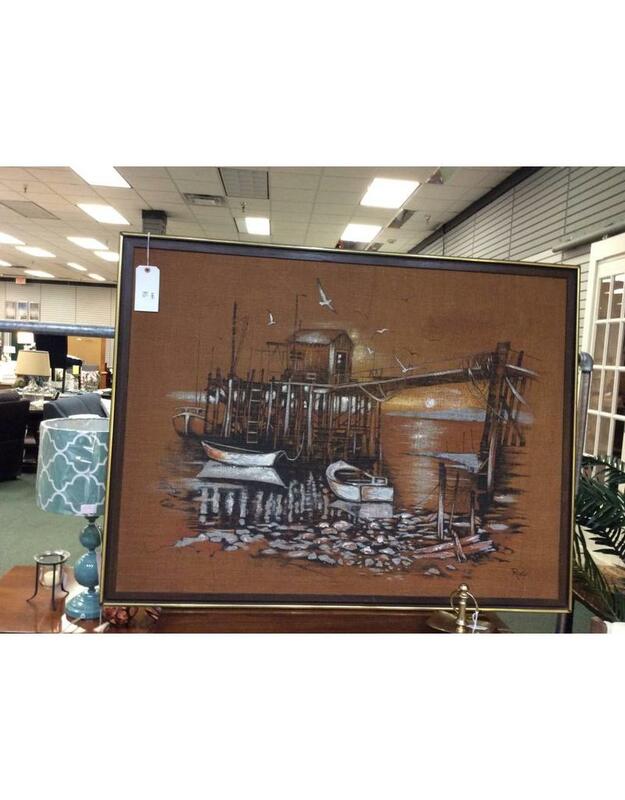 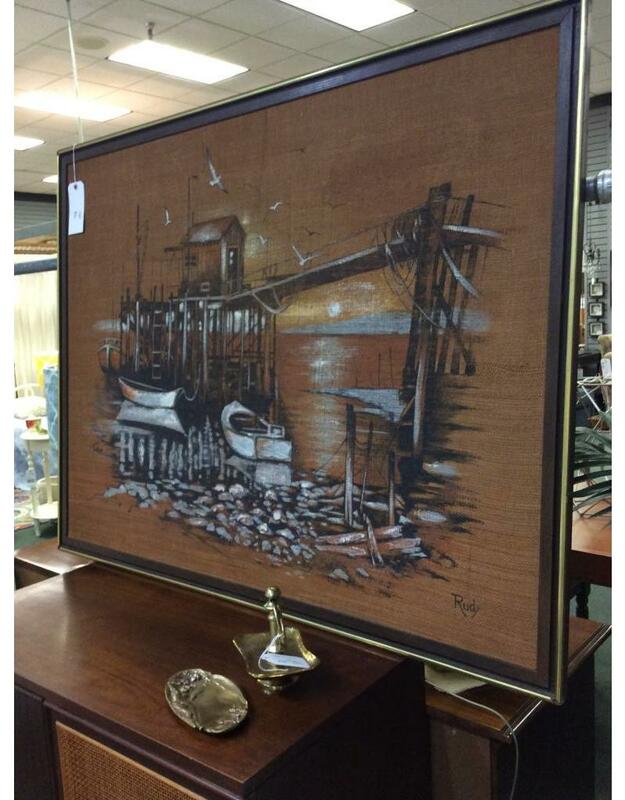 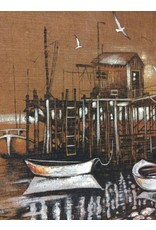 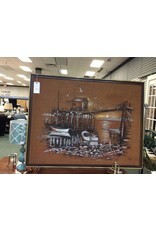 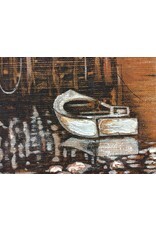 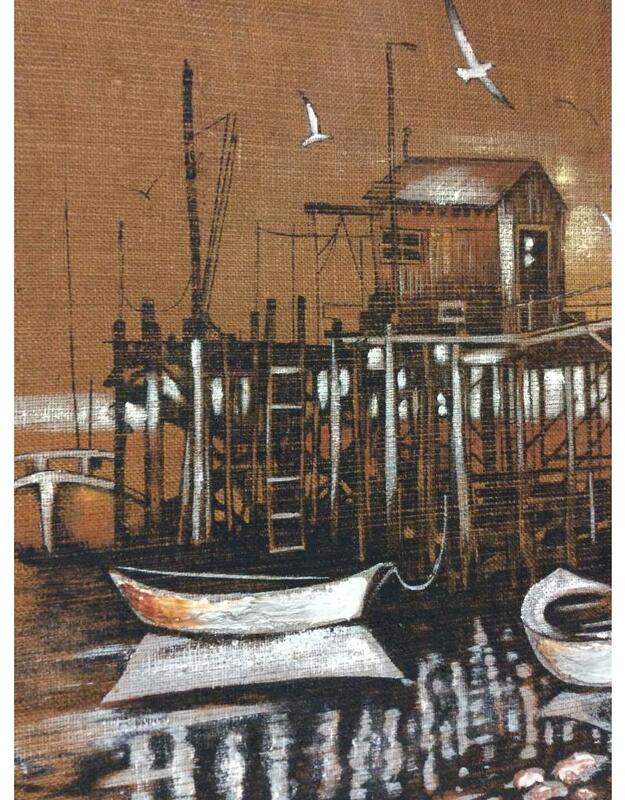 This original painting captures a nautical scene and is painted on burlap instead of a traditional canvas. 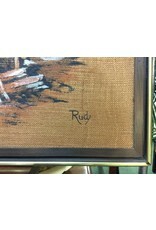 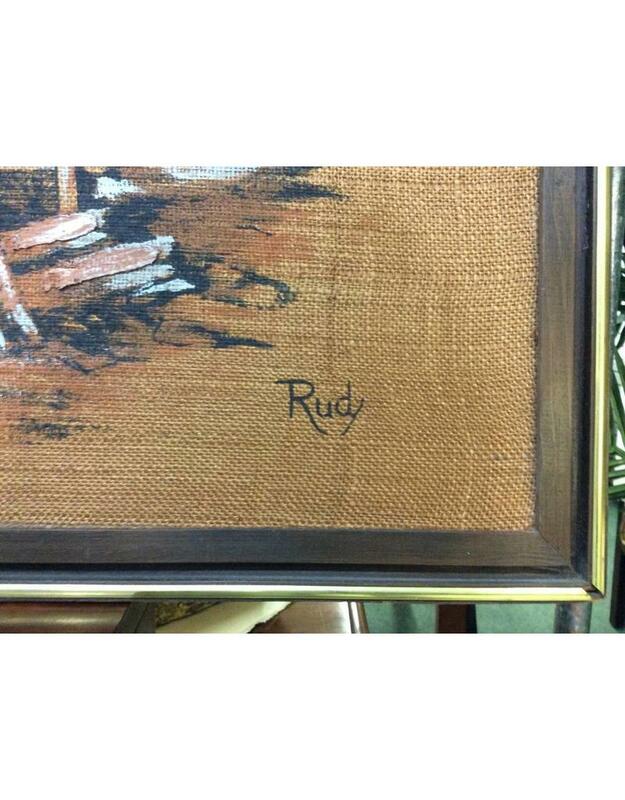 Signed "Rudy", the painting has been professional stretched and framed with a wooden frame with gold accents. 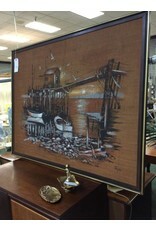 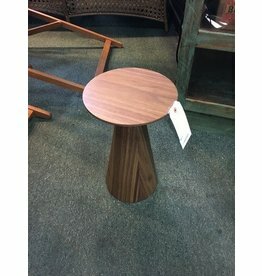 In fantastic condition, perfect for all of us who dream of a day seaside!